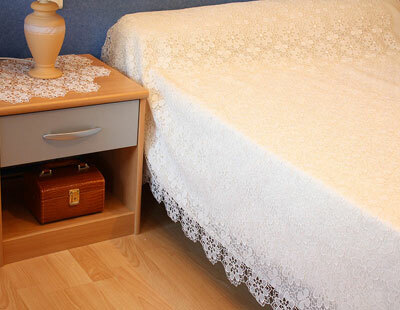 Macrame Lace bedspread "Tradition" One of our best sales ! good value. Available in custom size in ecru or white. 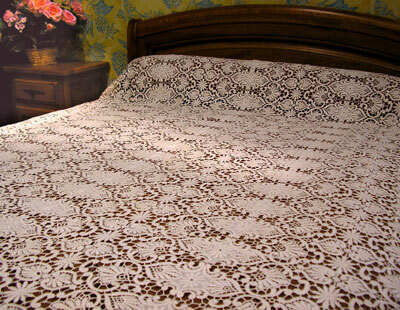 Macrame Lace bedspread "Amaryllis" One of finest pattern of our collection available in custom size in natural or white. 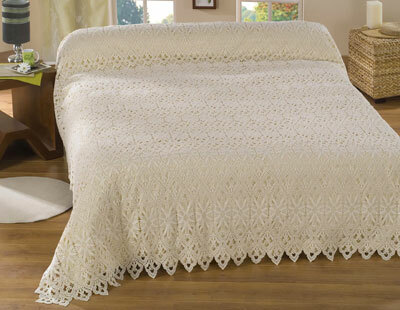 Macrame Lace bedspread "Classic" Open work and thick. Available in many sizes in ecru or white. 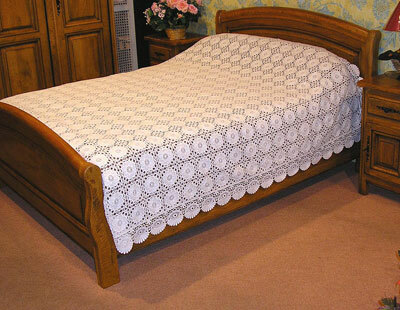 Macrame Lace bedspread "Chambord" This item is the result of a lot of work. Available in custom size in ecru or white.